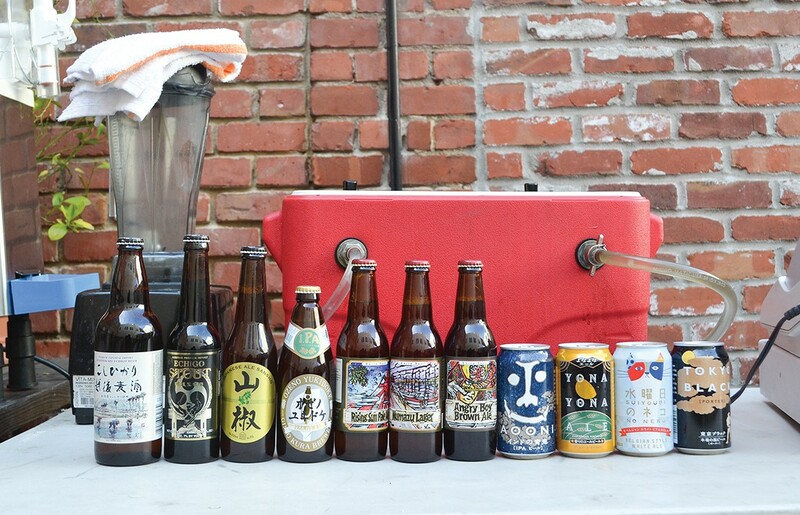 Try hoppy beers, sour beers, Japanese beers, local beers, and a lot of delicious food to go with them. Calling all hop-heads! This is the original kickoff event to SF Beer Week that's been going strong for almost two decades. 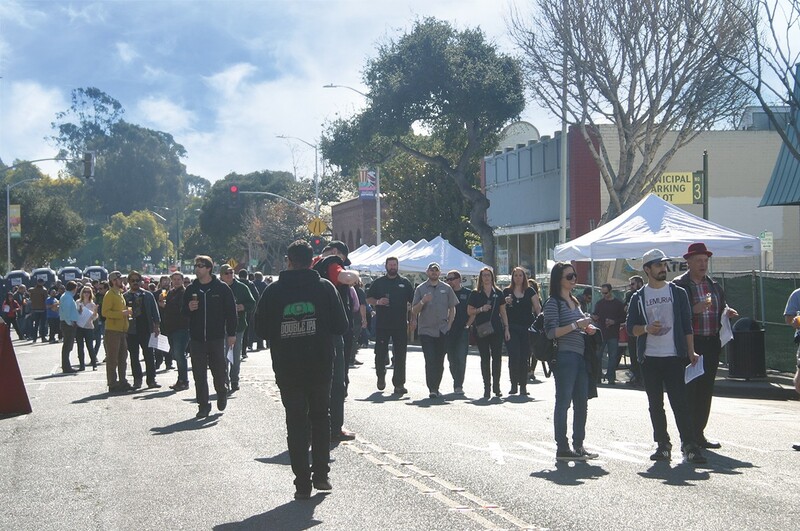 The Bistro hosts this annual festival dedicated to hoppy beers, with more than 96 double and triple IPAs on tap along downtown Hayward's Main Street. In addition to a professional brewing competition, there will be live music on two stages, cheese tastings, grilled sausages, and fried pickles to go with those suds. And unlike a lot of seminal, ticketed SF Beer Week events that sell out early, you pay at the door for this fest. Every SF Beer Week, there seems to be at least one brewery that isn't quite ready to debut in time. This year, it's Original Pattern Brewing near Jack London Square. If you're eager to see what lies within its stately brick building, though, you can get a sneak peek during Beer Week before it opens to the public. Tour the brewery, meet the founders, and learn what it takes to start a brewery in Oakland. Tickets include a flight of six beers, meaning you'll be among the first to taste Original Pattern's work — and the owners will be receptive to your feedback. The biggest sour festival in the East Bay is back. Presented by Jupiter, Triple Rock Brewery, and Drake's Brewing, this afternoon affair will feature more than 60 sour and barrel-aged brews. The lineup reads like a who's who of sour breweries, including Cantillon Brewery, De Garde Brewing, Cascade Brewing, Craftsman Brewing, Mikkeller, Bruery Terreux, Russian River Brewing Co., Logsdon Farmhouse Ales, Jolly Pumpkin Artisan Ales, and Upright Brewing. And with such a lineup, you can definitely expect to see a mix of old-world, classic sours and new, experimental brews. There are a range of ticket prices: $35 gets you five tastes, $70 gets you unlimited pours, and the $100 VIP option allows you early access and food. If you're less keen on committing to ticketed events, this second annual soirée at The Good Hop is a great alternative to The Sour Sunday. The Oakland bar will pour only sours all day long with its 16 taps dedicated to breweries in Southern California — some of which don't have much Bay Area distribution the rest of the year — including Pizza Port Brewing Co., Beachwood Brewery, and Cellador Ales. The Good Hop's house cheese monger will also prepare a cheese pairing list that promises to play up the funk all around. Pro tip: If you want to meet some of the brewers, time your visit between 4 and 9 p.m. There are a growing number of beer tours in the East Bay, but many of them are fairly expensive. 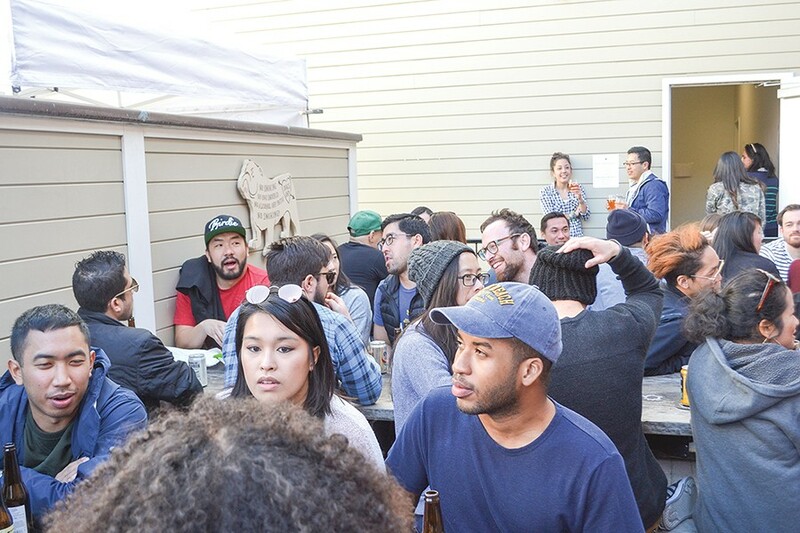 That means you should definitely take advantage of this free guided tour of four beer destinations in North Oakland hosted by Arthur Mac's Tap and Snack. The afternoon begins at Roses' Taproom, where you'll try one of its special Beer Week releases, Florale. It's a dry-hopped blonde ale brimming with hibiscus, and 100 percent of the proceeds will be donated to Restaurant Opportunities Centers United in the pursuit of equality in the industry. From there, you'll move onto Temescal Brewing to try its just released Big News double IPA. Then, you'll hit Hog's Apothecary for Hip Breaker, its annual collaborative IPA with Triple Rock Brewery. You'll wrap up at Arthur Mac's for the debut of Neon Rise, a triple dry-hopped pale bock from Ol' Republic Brewery and HenHouse Brewing Company. Sunday, Feb. 11, 1:30-7 p.m., free, Rose's Taproom, 4930 Telegraph Ave., Oakland, ArthurMacs.com. This all-you-can-eat and all-you-can-drink evening features live jazz, sweeping sunset views, and the creative flavors of Richmond's Armistice Brewing Company. The food will come from Sharon Li, who specializes in nose-to-tail cooking as executive chef of Napa Valley's Press. Throughout the event, Li will bring out dishes, including deviled tea eggs, scallion pancakes, and pork dumplings, to pair with a specific Armistice beer. Bonus: You'll get to take home a seriously fancy, gold-rimmed glass. At its San Leandro facility, Drake's Brewing is hosting a lot of rad events this year for Beer Week. This evening, though, features a rare opportunity to enter the Drake's cellar. In fact, it's the only time all year the cellar will be completely open to the public. What does this mean, exactly? The cellar houses all of the brewery's barrel-aged stuff, including funky sours and favorites from the Barrel House Reserve Series. Travis Camacho, the barrel program manager at Drake's, will also be around to answer any of your burning questions about aging beers. The beer industry has been dominated by men, but there are an increasing number of women brewing beer and opening breweries. The Rare Barrel is throwing a party in honor of all these women. In addition to a few Rare Barrel beers on tap, the brewery will host beers from 14 breweries that were founded by women or have head brewers who are women. Even better, $2 from every guest beer sold will go to the Pink Boots Society, the nonprofit that works to advance the careers of women in beer. Some of these female-founded breweries are local, including Alameda's Faction Brewing and Richmond's Armistice Brewing Company, but the majority will come from further afield, such as Colorado's New Belgium Brewing Company and Oregon's Breakside Brewery. Livermore is making it extremely convenient to get a taste of its booming beer scene. At least 15 downtown bars and restaurants will pour beers from Livermore's four breweries, Altamont Beer Works, Eight Bridges Brewing, Shadow Puppet Brewing Company, and Working Man Brewing Company. Given how far away these breweries are from downtown — and from one another — this a great, low-stress opportunity to try them all. And to help you get from spot to spot, the Blue Brew Bus will provide free rides up and down First Street all night long. It's become an annual tradition: Umami Mart and The Trappist will team up for the fifth time to bring you more than 25 different draft and bottled beers from Japan, including those from Hitachino Brewing and Baird Brewing Company. Expect a mix of lagers, IPAs, stouts, and even a salted plum gose. It should feel like a full-blown festival, too, with Aburaya serving its delicious Japanese fried chicken on the patio and The Trappist whipping up beer slushies. Between Alameda malt and San Leandro yeast, it's easier than ever before for brewers to use local ingredients. With Armistice Brewing, Benoit-Casper Brewing, East Brother Brewing, and Origin Brewer, there are a lot of tasty brews coming out of Richmond. Cestra Butner ran a successful beer distributorship, but he wasn't the most obvious person to save San Francisco's Speakeasy Ales & Lager.